Serre Chevalier is an outstanding summer resort, with a wonderful summer climate and a wealth of attractions for visitors of all ages. We are delighted to be opening our chalet on a bed and breakfast basis from July through to September. From 3 nights at just £49.00 and 7 nights £99.00 per person based on 2 people sharing. The mountain areas around Serre Chevalier are a stunning summer destination. There are numerous outstanding walking routes suitable for all levels of fitness, along with activities such as kayaking / rafting, paragliding, climbing, mountain-biking and road cycling, go-karting and paint-balling. There is also a golf course in nearby Montgenevre and both horse-riding and outdoor tennis facilities just a few metres from our chalet. This picturesque area is truly a photographer`s delight and many of the ski lifts are open during the summer so all visitors can easily access everything the mountains have to offer. Find out more about this amazing area on the local tourism website here. Visitors can also enjoy the resort`s open-air bio pools and thermal baths, as well as the historic old towns and their many markets. 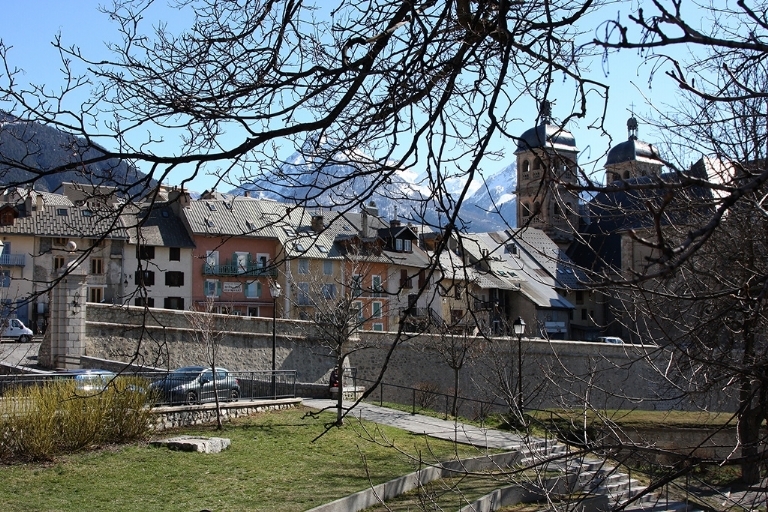 No visit would be complete without experiencing the beauty of nearby Briancon, the highest city in Europe and a UNESCO World Heritage site. The area is a gastronomic delight, with a wide selection of local food being served in a variety of restaurants and cafes or sold directly to visitors by the producers. There are also a number of excellent vineyards nearby, which are well worth a visit. Email info@hucksterslodge.com for details or ring Julie on 07515 985 107 or Chris on 07740 062 796. Altogether we have in Les Arcs 180km of marked trails from 800m to 2600m with a mix of enduro, DH, cross country and freestyle. The lift in Télévillage Lonzagne is open early from 30th June until 6th July with the main Vallandry lift and Vanoise Express open fully from 7th July operating daily until 1st September. A weekly pass is available for 65€ with an extension of 15€ per day for La Plagne. Full details for the resort can be found by going to the following website: http://en.lesarcs.com/bikepark.html or Peisey Vallandry's tourism website here. The nearest open lift to the chalet is the Vallandry 74 which runs just behind the Petit Mont Blanc, so just as with the Winter you will be on your bike and on trails from the back door. We are offering in the chalet accommodation on either a B&B, half board or self-catered basis, we will also be offering packed lunches. 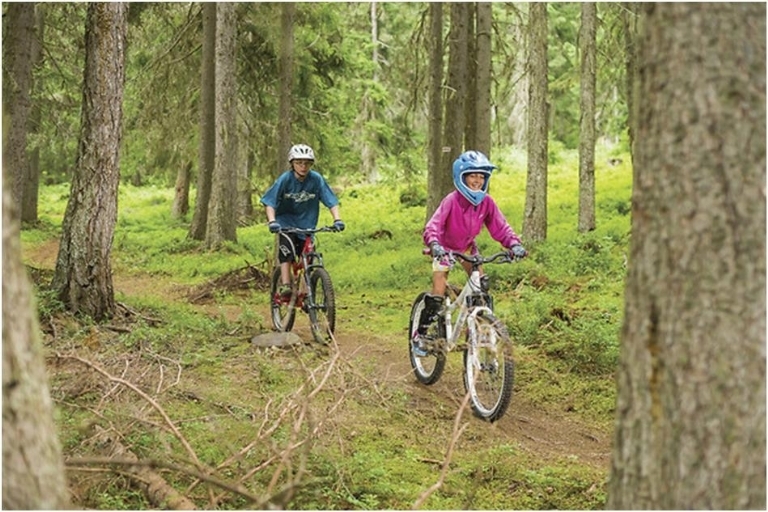 We have secure bike storage, a minibus and trailer for transfers, lifts or to visit other nearby resorts such as Tignes, available at a competitive price. 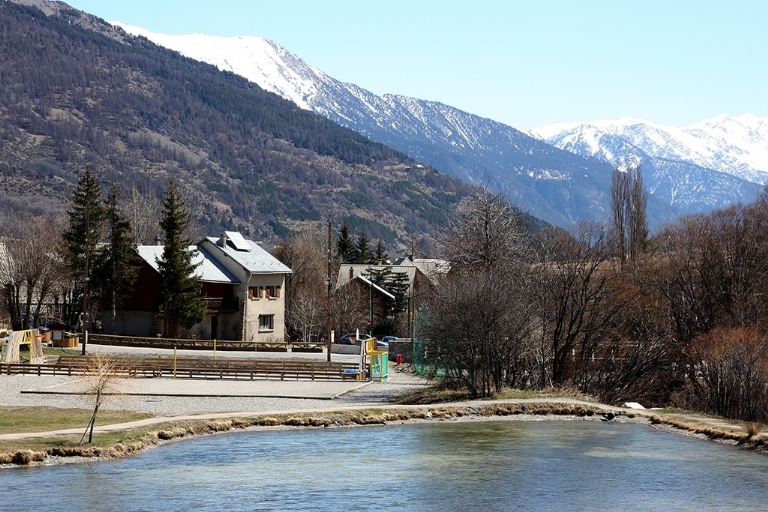 Accommodation will be in the Petit Mont Blanc which can sleep up to 24 in a range of double, twin and triple rooms all of which have en suite shower facilities. Our new annexe apartment is available for up to four sharing. For stays of 7 nights we can offer half board for £199 per person and for larger groups a free place for more than 12 people.